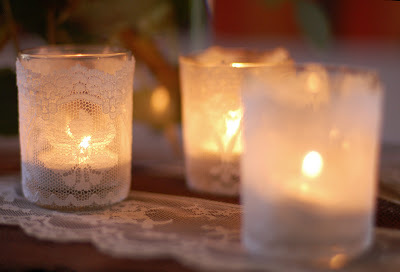 Looking for the simple lace covered votives tutorial? It's moved to its new home at Tikkido.com. SO pretty! Using these at my wedding :D And of course, it is fairy themed. So...the adhesive from the tape does not get too hot with the candle burning? or the lace?